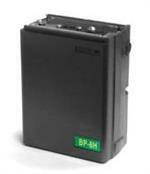 Home > Aviation Batteries > CM-7G : 13.2 volt 700mAh rechargeable high-watt Ni-Cd battery for ICOM HT radios . 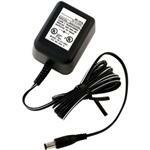 CM-7G : 13.2 volt 700mAh rechargeable high-watt Ni-Cd battery for ICOM HT radios . CM-7G (aka BP-7, CM-7) : 13.2 volt 700mAh rechargeable Ni-Cd battery pack for ICOM IC-A20, IC-A21, IC-H16, IC-M5, IC-M1, IC-M2, IC-M11, IC-M12, IC-U2, IC-U12, IC-U16, IC-32AT, IC-2GAT, IC-4GAT, IC-12GAT, IC-02AT, IC-03AT, IC-04AT, etc (all worldwide versions). Also fits the Realistic HTX202 and HTX404 radios. Replaces original CM-7, CM-7G, BP-7, etc. Pack is 3.35" tall; it recharges with a Wall Charger (original ICOM charger, or IC-WC), or with a DC Charge cable (IC-CP, IC-CP+), or with CM-35 desktop Rapid Charger. CM-12 : 10 x AA alkaline battery case for ICOM IC-A20, IC-A21 radios etc. (a.k.a. CM-12G). CM-12 : 10xAA alkaline battery case. Load with 10 AA Alkaline batteries for instant power. 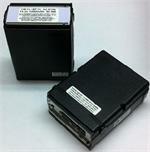 Fits radios such as IC-A20, IC-A21, IC-32AT, IC-12GAT, IC-4GAT, IC-H16, IC-U16, IC-M2, IC-M5, IC-M12; many others. Replaces BP-7, CM-7, BP-70, CM-70, CM-12G. BP-8h: 8.4 volt 1400mAh rechargeable Ni-Cd battery for ICOM radios such as IC-02AT, IC-2AT, IC-03AT, IC-04AT, IC-2GAT, IC-4GAT, IC-32AT, etc. Replaces BP-8, CM-8, BP-3, etc. 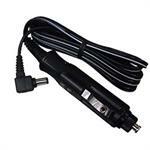 CM-7x : 13.2v 1200mAh long life rechargeable Ni-MH battery for ICOM IC-A20, IC-A21, etc. CM-7x : 13.2 volt 1200mAh LONG LIFE rechargeable Ni-MH battery pack for ICOM IC-A20, IC-A21, H16, M5, M1, U2, U12, 32AT, 12GAT, etc. Replaces original CM-7, CM-7G, BP-7, etc. 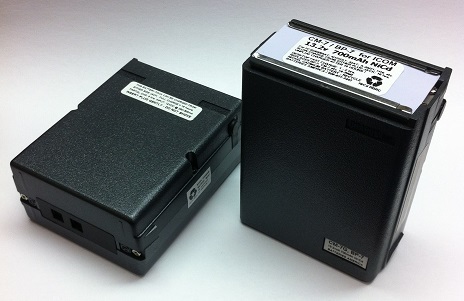 CM-35 (BC-35): Desktop Rapid Charger for ICOM-style battery packs. Charges BP-2, BP-3, BP-5, BP-7, BP-8, IC-8, BP-202, etc. These are Factory-reconditioned charges in full working condition.